Researchers at the Albert Einstein College of Medicine believe that a decline in the number of neural stem cells in the hypothalamus is one of the major causes for aging. The hypothalamus is involved in regulation of hormone-secreting glands, metabolism, growth and plays an important role in maintaining the general health and stability of the body (homeostasis). In an animal model, by replenishing the supply of stem cells in the hypothalamus, researchers delayed the noticeable and deteriorating effects of aging. The study involved two phases to test the researcher’s hypothesis. The first phase involved taking one group of “middle-aged” mice and decreasing the supply of stem cells in the hypothalamus and comparing them to a control group where no manipulation took place. The manipulated group exhibited quicker deterioration and displayed palpable signs of aging compared to the control group, suggesting that the number of stem cells present in the hypothalamus is linked to the aging process. In the second phase of the study, a manipulated group received additional stem cells. In comparing this manipulated group to the control group, the manipulated group exhibited a slowing of the aging process as a result of the addition of stem cells. Therefore, when the number of stem cells was increased rather than decreased, the mice showed a slower progression of age related deterioration over their lifespan. ALS Study Utilizes Stem Cells to Illuminate the Role of Astrocytes in Neurodegenerative Disease. Researchers led by Dr. Su-Chun Zhang at the University of Wisconsin-Madison Waisman Center are utilizing stem cells in a pre-clinical trial to determine the role of human astrocytes in neurodegenerative diseases such as ALS, Huntington’s disease, and Rhett Syndrome. The team found that, upon integration into the central nervous system, stem cell-derived astrocytes from patients with ALS replace the astrocytes of the host while disrupting motor function, as though the host also had ALS. The Nerve of Them – Scientists Chronicle Transition of Stem Cells to Nerve Cells In Vivo. Scientists led by Mathias Hoehn at the Max Planck Institute for Metabolic Research have devised a novel method for documenting the process by which human stem cells transplanted into the cerebral cortex of an animal model develop into mature nerve cells. The researchers inserted optical image reporters into the cells to emit different shades of light when certain genes were activated. By observing the sequence in which the light was emitted, the group determined the timeline of the stem cell’s transformation in vivo. Multiple Sclerosis Treatment Becomes Canada’s First MS Stem Cell Clinical Trial. The University of Ottawa trial infuses MSCs to reduce inflammation in the central nervous systems of MS patients. The Multiple Sclerosis Society of Canada has funded Canada’s first stem cell clinical trial to treat multiple sclerosis, conducted by researchers at the University of Ottawa. The trial, called MESCAMS [Mesenchymal Stem Cell Therapy for Canadian MS patients], will comprise MSC infusions to the central nervous system to utilize their ability to regulate autoimmune attacks and reduce inflammation in 40 MS patients. Stroke-Induced Brain Damage Prevented by Stem Cells. 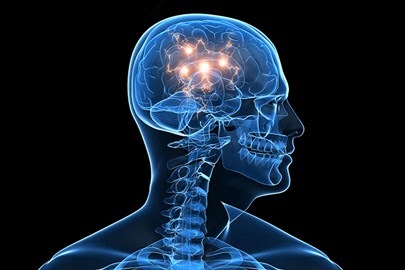 Stem cells have been found to prevent neurological damage to GCI stroke victims. In a recently published study from the Hallym University College of Medicine, researchers have applied mesenchymal stem cells [MSCs] to animal models afflicted with global cerebral ischemia [GCI] to successfully reduce the associated neuronal damage. When compared to those that received no treatment, animals that received MSCs displayed a significant decrease in cell death, inflammation to the brain, and disruption of the blood brain barrier. Multiple Sclerosis Trial Exhibits Positive Results of Stem Cell Therapy. A five year phase II clinical trial has shown initial success in treating multiple sclerosis. In a recent update of an ongoing five year clinical trial conducted by the Chicago Blood Cancer Institute, patients with relapsing-remitting multiple sclerosis have experienced suppression of disease-related inflammation as a result of hematopoietic stem cell transplantations. The stem cells have the ability to regulate the autoimmune attack on the central nervous system, and have provided 82.8% of the patients with two years thus far of event-free disease remission. A Sight for Sore Eyes – Stem Cells Discovered on Surface of Retina. Scientists may one day be able to treat AMD with stem cells from the retina. A team of researchers led by Professor Andrew Lotery at Southampton General Hospital have discovered a source of retinal stem cells on the surface of the eye. If scientists can harvest these readily accessible stem cells, convert them to light-sensitive cells, and then transplant them back into the eye, the cells could provide new treatments for age-related macular degeneration [AMD]. The Nose Knows - The Importance of Stem Cells. Stem cells are regulators for critical connections between the nose and the brain. Scientists from the National Institute of Neurological Disorders and Stroke have identified neural stem cells as important regulators of the olfactory bulb and its connections to the brain. The researchers discovered that a constant influx of stem cells is required for the olfactory system to function properly. The removal of stem cells causes a widespread disruption of signals sent to the brain, resulting in sensory deprivation. Stem Cells in white crown sparrows used to study neurodegenerative diseases. A research team from the University of Washington has discovered a stem cell signal in Gambel’s white-crown sparrows that may lead to new regenerative treatments for patient suffering from neurodegenerative diseases. The team found that, in preparation for an upcoming mating season, the sparrow’s brain cells release a chemical signal that activates the division of neural stem cells, which facilitate peak singing performance to attract mates. Brain Tumor Chemotherapy Delivered via Stem Cells. Scientists hope to use stem cells to minimize collateral damage from brain tumor chemotherapy treatments. Neuroscientist Dr. Karen Aboody, M.D. and Oncologist Dr. Jana Portnow, M.D. from City of Hope Hospital are set to begin a phase 1 clinical trial for a method of delivering chemotherapy treatments to glioblastoma [aggressive brain tumors] with modified neural stem cells. The scientists plan to capitalize on the stem cells’ innate ability to seek out invasive tumors by loading the cells with a chemotherapeutic protein and then injecting them into the brain.